Creating a great first impression starts with potential buyers the minute they walk up to your front door. Make sure you create that wow factor when selling your property to appeal as many buyers as possible. 1. 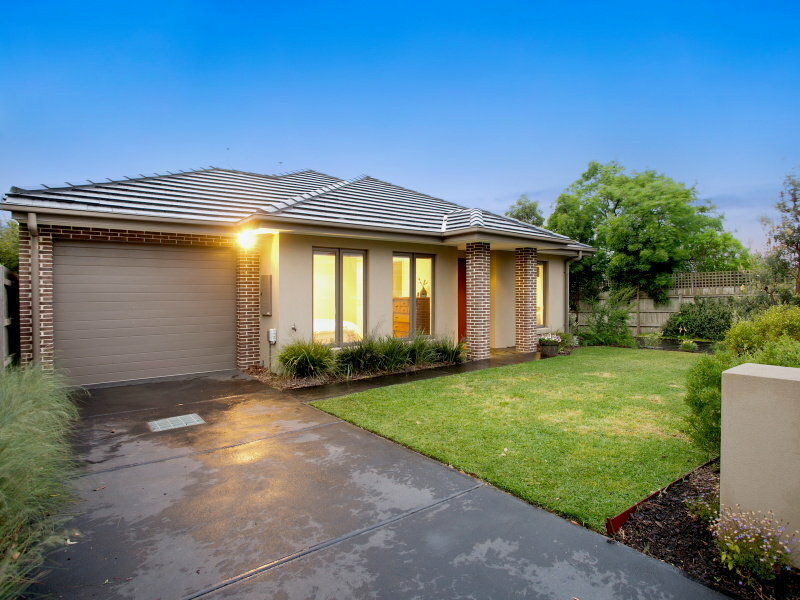 LIGHTING – Lighting at your front door should be on trend and thoroughly cleaned. Use bright globes so there is plenty of light when people first walk into the entry. Make sure your front door is freshly painted and your door hardware is clean or if in a state of disrepair then replace with new door hardware. 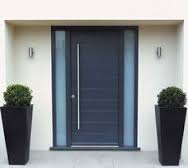 If you door is dated and tired looking then it is best to install a brand new one. This will make a significant impact to your entrance. 3. TIDY UP AND DE-CLUTTER – This means getting rid of everything from shoes, coats, bags and hats to umbrellas and papers. There should be not obstructions in the entry way. Also remove any personal family photos. Remember people want to see themselves living in your home. If your floors are polished boards then you may just need a lovely rug at the front entrance. Whether a circular rug suits best or a larger rectangular style, keep it simple and quite neutral. 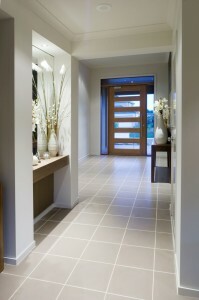 If your floors are old and worn then consider re-tiling the area with large 600mm x 600mm tiles. You won’t need as many and will make the area look larger. The trick here is to not over furnish the space. A simple console with a lovely bunch of flowers. Some artwork or a mirror (just don’t face the mirror directly opposite the front door as this is considered bad feng shui) above the console will really set the space off nicely. 6. SIGHT LINES – Most houses do not have an entry that is blocked off from the rest of the home so you will no doubt be looking into other areas when you enter the house. 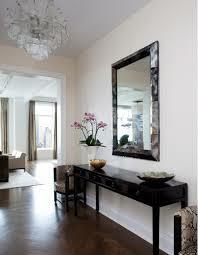 Be sure to keep all rooms leading off the front entry neat, tidy and clutter free. 7. OTHER THOROUGHFARES – Don’t forget hallways and staircases. These areas can also be clearly visible and need to be neat, tidy and clutter free. Ensure all personal items have been removed from these areas and instead hang appropriate attractive artwork. Also ensure that your lighting is nice and bright in these areas.